**Please see also this article by Ed Moloney at The Broken Elbow for further insight: Have The Remains Of Seamus Wright And Kevin McKee Been Found In Co. Meath Bog? The remains of two bodies have been found on reclaimed bogland in the Irish Republic where three of the so-called IRA Disappeared are believed to have been secretly buried. 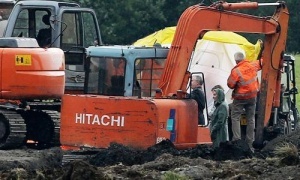 A dig on the farmland in Coghalstown, Co Meath, as part of the search for the remains of former monk Joe Lynskey unearthed one body on Thursday morning, the Independent Commission for the Location of Victims’ Remains (ICLVR) said. A second body was discovered as further examinations took place at the site and preparations were made to take the first body out the ground. IRA victims Seamus Wright and Kevin McKee are believed to be buried in the same area, the ICLVR said. “We have always said that we think three bodies are in that area and until there is further identification we just don’t know,” a spokesman said. It is understood the second set of human remains was unearthed as specialists cleared ground around the first body to prepare it for removal. Lynskey’s family, who have endured a 43-year wait to give their loved one a proper burial, were notified of the initial discovery and were said to be shocked but relieved at the discovery. The former Cistercian monk was abducted and murdered by the IRA in August 1972. The group only admitted his disappearance in 2010. 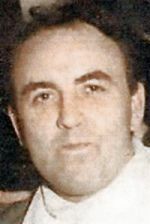 Wright, another of the Disappeared believed to be dumped in the bogland, was also from Belfast. He was in the IRA and was murdered in the same year by his former colleagues, who accused him of being a British army agent and a member of its Military Reaction Force – an undercover unit. Wright was married and 25 years old when he went missing in October 1972. He worked as an asphalt layer. McKee, again from Belfast, and in the IRA, he was also murdered in the same year. He was also suspected of being in the British army agent and the Military Reaction Force. He was interrogated and murdered by the terror group. Lynskey’s niece, Maria, had been expected to visit the site after the discovery and said her thoughts were with other families awaiting news. “We would like to thank the [ICLVR] and those who have engaged with the commission in the search for Joe,” she said. Extensive searches have been carried out at the site for both Wright and McKee, but this year was the first dig for Lynskey’s remains. This page was loaded Apr 23rd 2019, 10:44 pm GMT.